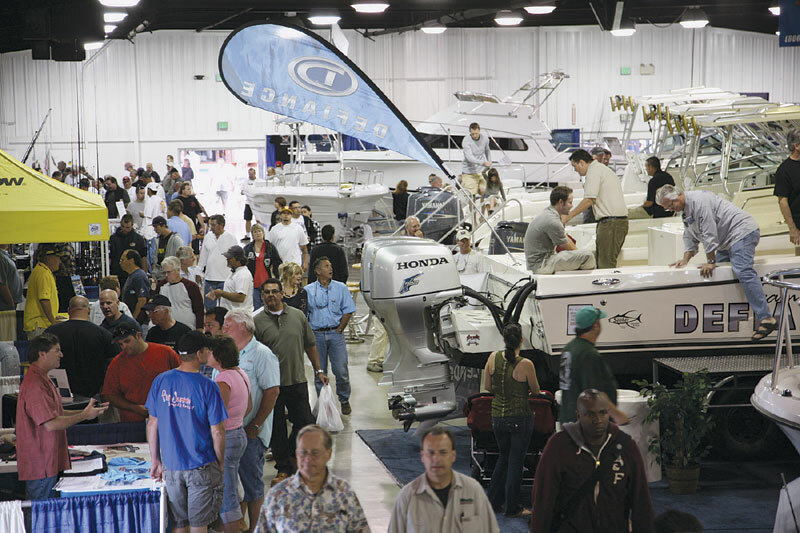 COSTA MESA — The third annual Pacific Coast Sportfishing Festival is gearing up for its largest show yet at the Orange County Fairgrounds in Costa Mesa, April 28 and 29. Exhibitors at the festival will include leading fishing and tackle companies such as Shimano, Daiwa, G. Loomis, PowerPro, Mustad, Okuma, Costa Del Mar, Penn, Berkley, Tuff-Line, Seeker, Avet, Accurate, Phenix, Raymarine and Parker Boats. Anglers will have the opportunity to meet with factory reps and dealers who are extremely knowledgeable about local fishing and can help match the right equipment with the type of species you want to target, DePriest said. Doors open at 10 a.m. Saturday, and the festival’s first day continues until 6 p.m. On Sunday, festival hours are 10 a.m. to 5 p.m.
10:30-11:15 a.m.: Lifetime of Catalina Secrets — Capt. Mark Wisch. Noon-12:45 p.m.: Coastal White Seabass — Capt. Barry Brightenburg; Scott Aalbers, M.S. (PIER); Chugey Sepulveda, Ph.D., (PIER). 1:30-2:15 p.m.: Coastal to Island Calico Bass Tips from the Best — Corey Sanden, Capt. Dave Hansen. 3-3:45 p.m.: Bay Bass Masters — Capt. Jimmy Decker. Noon-12:45 p.m.: Coastal White Seabass — Capt. Barry Brightenburg; Scott Aalbers, M.S. (PIER); Chugey Sepulveda, Ph.D. (PIER). 1:30-2:15 p.m.: Setting Up for Lings and Reds — Capt. Todd Mansur; Capt. Dave Hansen. 3-3:45 p.m.: Mouth Hooking Thresher Sharks with Big Success — Chugey Sepulveda, Ph.D. (PIER); Scott Aalbers, M.S. (PIER); Craig Heberer, M.S. (NOAA).